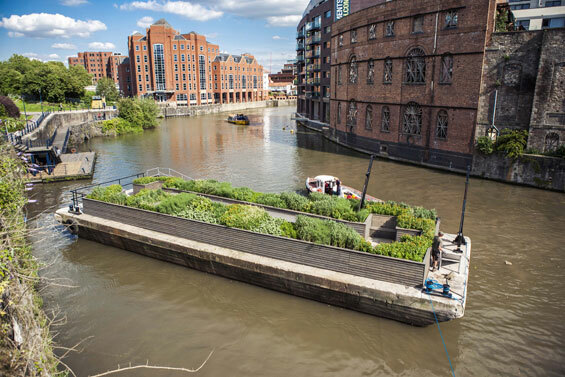 ‘Seeds of Change’ is a floating garden; the result of a collaboration between the designer Gitta Gschwendtner and the artist Maria Thereza Alves. The title ‘Seeds of Change’ stems from an ongoing ballast seed garden project from Brazillian artist Maria Thereza Alves. 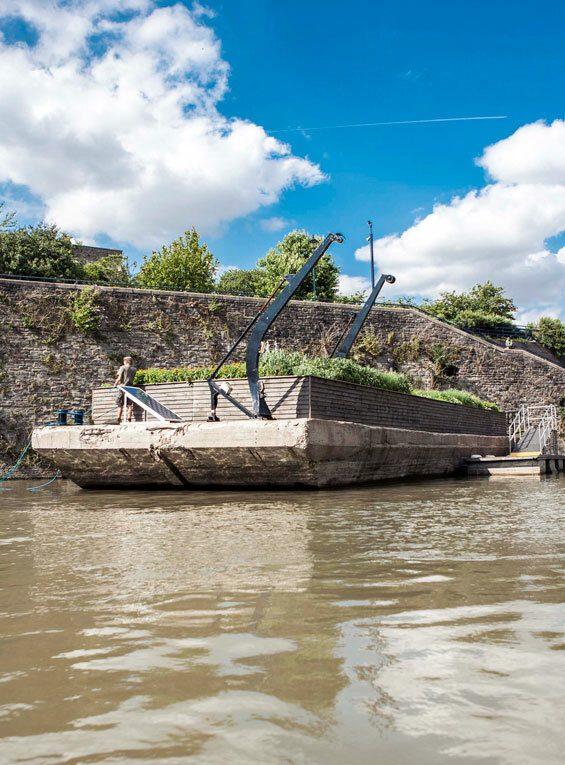 Between 1680 and the early 1900’s ships’ ballast – earth, stones and gravel from trade boats from all over the world used to weigh down the vessel as it docked- was offloaded into the river at Bristol. This ballast contained the seeds of plants from wherever the ship had sailed. Maria Thereza Alves discovered that these ballast seeds can lie dormant for hundreds of years, but that by excavating the river bed, it is possible to germinate and grow these seeds into flourishing plants. 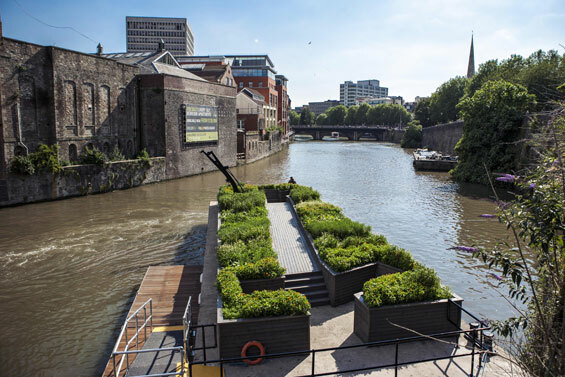 Working with the University of Bristol Botanic Garden, Arnolfini and Bristol City Council and utilising a disused grain barge, Gschwendtner and Alves have created a Ballast Seed Garden on Bristol’s Floating Harbour, populated with a variety of non-native plants, creating a living history of the city’s trade and maritime past. 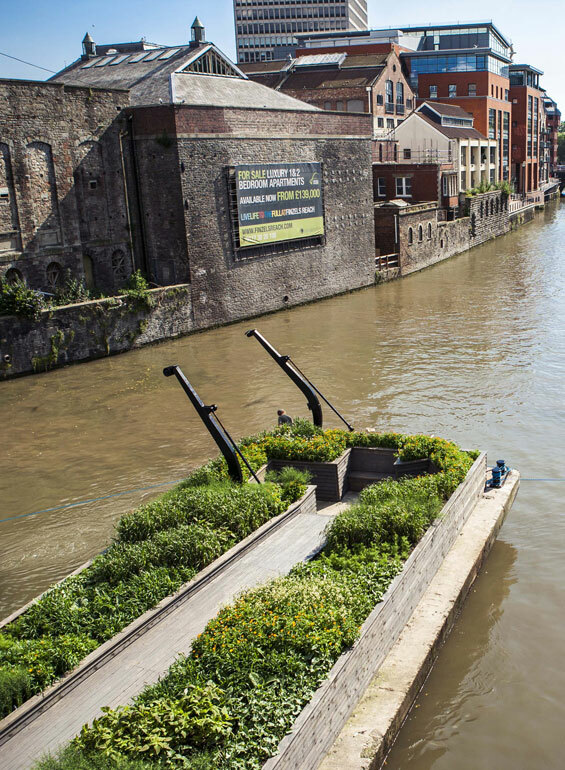 Gitta Gschwendtner’s design for the ballast seed garden aims to give the visitor an opportunity to experience the garden from various levels and perspectives. 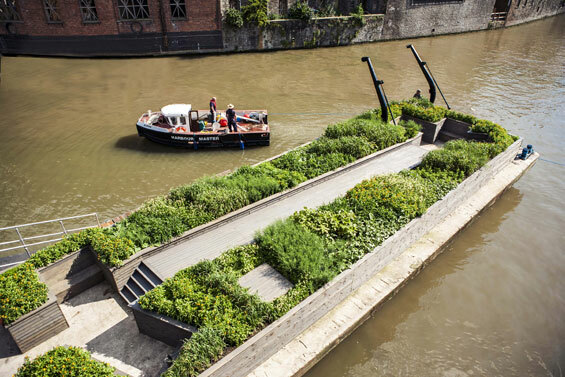 The raised bed structure with its sunken paths and seating areas immerses the visitor into the garden, while the elevated central area allows an overview of the entire ballast seed garden as well as its unique position on a floating barge. 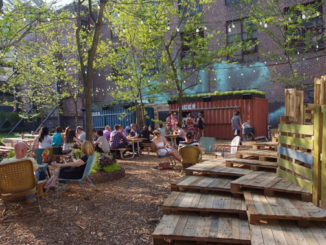 The architecture of the garden works with the structural constraints of the concrete barge; the elevated section in the centre conceals and covers the raised aperture where grains were originally loaded into the barge. 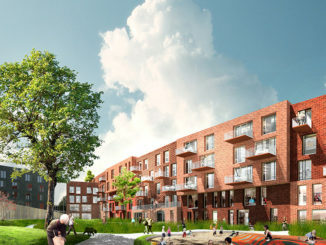 Sustainability is an important aspect of the project’s objective. Both the garden’s irrigation system – pumped straight from the river – and lighting are powered by solar panels, and the construction material used is sustainable pine treated with an environmentally friendly oil stain to soften the pine’s appearance and preserve it from weathering.